There are two main methods for transferring processed audio from Revoice Pro to Nuendo/Cubase. Which one you chose depends on whether you want to transfer a single clip or many clips from optionally many tracks at the same time. For transferring a single audio region from Revoice Pro to Nuendo/Cubase, drag and drop is simple and fast. For transferring many audio files to Nuendo/Cubase, use Revoice Pro's Export Audio command in the File menu. You cannot copy and paste audio from Revoice Pro to Nuendo/Cubase. Use the standard drag and drop action to return the processed audio from Revoice Pro to the DAW. 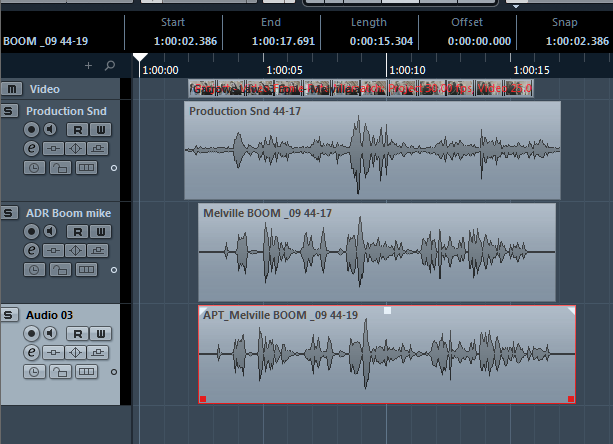 The audio returned to Cubase/Nuendo will probably not end up at the correct time as shown below. In the DAW, ensure the imported clip is still selected and select Move to > Origin found in the Edit menu (as shown below) or operate its corresponding key command. The clip will now be at the correct time-code and aligned with the Guide audio, as shown below. You can repeat the above capture, process and import steps along the timeline or from any other tracks. 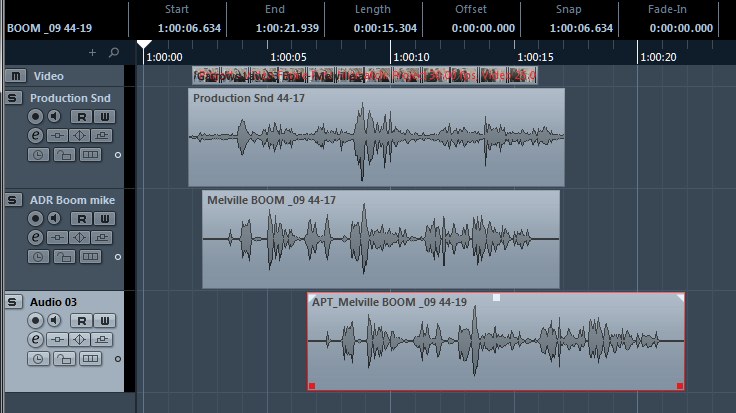 Use the standard Export Audio method. This will allow exporting one or more complete tracks or a specified range (using the Playback Range) all at once. Select the exported and relevant audio files in the operating system and drag and drop them into the Nuendo (Cubase) project window to the desired track. 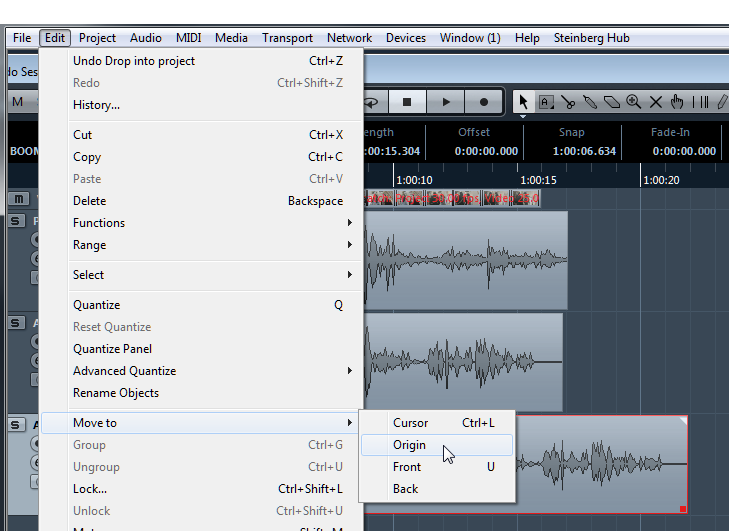 A dialogue window in Nuendo (Cubase) will appear asking whether to insert the objects either to one or different tracks. Select "Different tracks". If all imported event are still selected in Nuendo, apply Nuendos (Cubase) "Move to > Origin" found in the Edit Menu or use its corresponding key command. Optionally, keep all events selected, and apply "Detect Silence" to be found in Audio menu > Advanced. Adjust the values to separate the file(s) back into the relevant lines/takes again. The result will appear with the same structure of audio events/takes in the Nuendo project as before the aligning process.